Every year since 1981, the White House Historical Association has had the privilege of designing the Official White House Christmas Ornament. 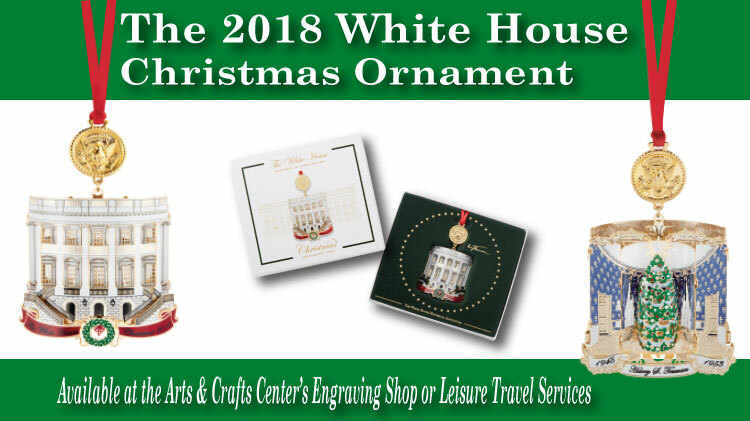 These unique collectibles honor individual presidents or White House anniversaries and have become part of the holiday tradition of millions of families. The White House Historical Association’s 2018 White House Christmas Ornament honors Harry S. Truman, the thirty-third president of the United States from 1945 to 1953. Available Leisure Travel Services and Arts & Crafts Center's Engraving Shop. Great gift idea! Supplies are limited.